Yippee! My first ever post! I couldn’t think of anything more perfect and classically Carolina to kick off the blog with than hydrangeas. They are beautiful, soft, grow locally, come in many different colors, and are fairly easy on the budget. Sounds perfect, no? Depending on the variety, hydrangeas can bloom from May through September, which nicely coincides with wedding season. Colors range from whites and ivories to pinks, purples, and blues. 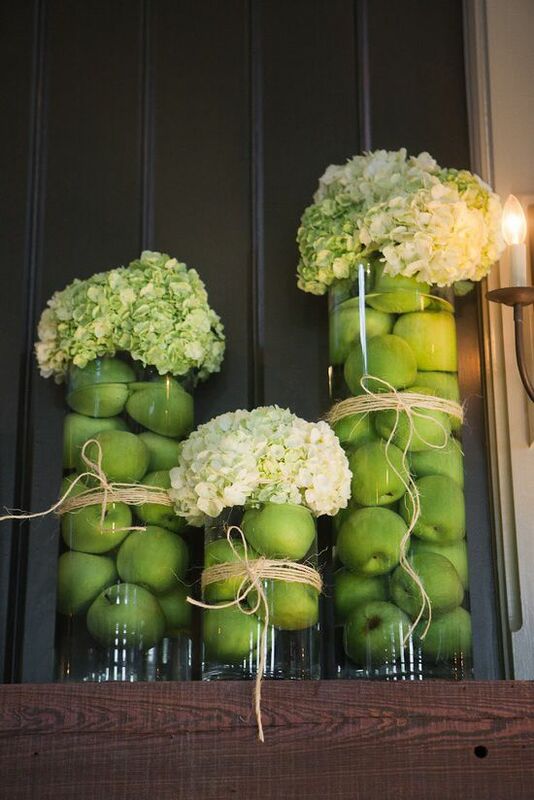 Baby green hydrangeas are also popular for weddings. While stunning on their own, hydrangeas mix well with other flowers, including roses, bells of Ireland, carnations, baby’s breath, hypericum berries, calla lilies, and many others to make beautiful bouquets and table arrangements. Pair with roses for a classic, elegant look, or with Queen Anne’s lace for a rustic, down-to-earth feel. What do you think, belles? 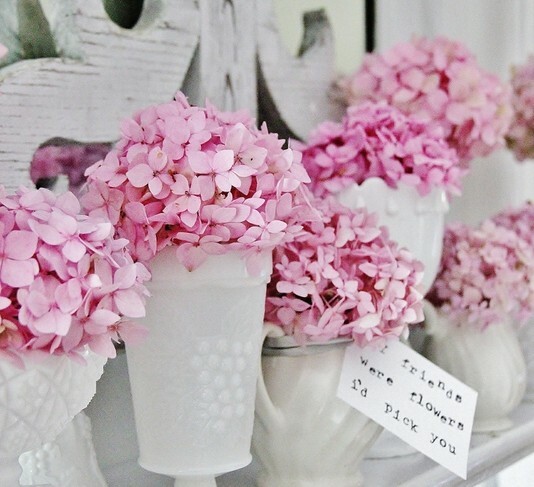 Would you use hydrangeas in your wedding? What color is your favorite? Just as a comment regarding getting Hydrangea’s to bloom – I cut up banana peels and place them in the pot…. they say thank you by gifting me with blooms.